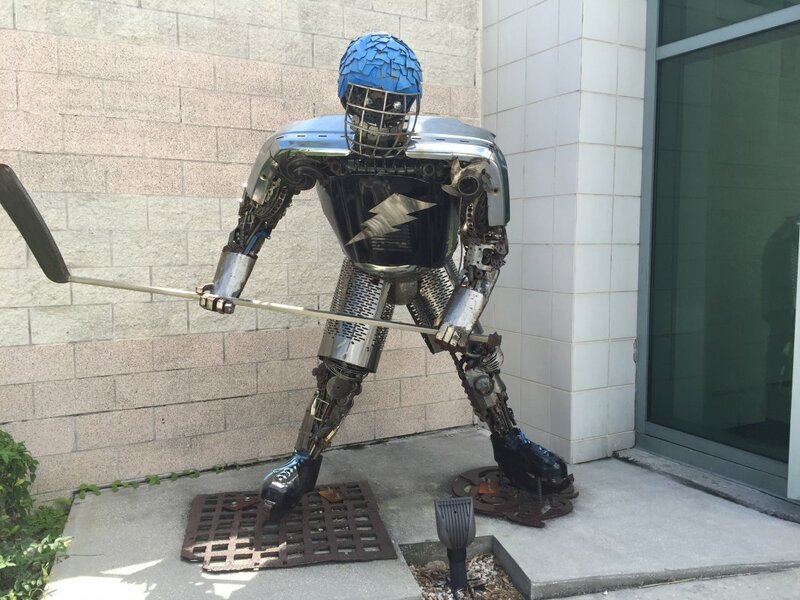 The Tampa Bay region may be known primarily for sun and surf, but there’s lots more to do around town. 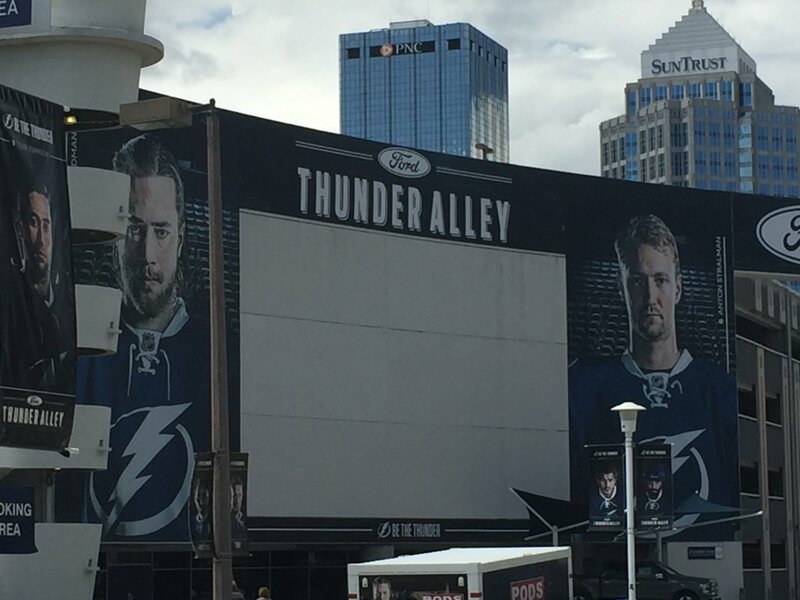 One of those things is watch hockey, and Tampa is far from an only-care-about-hockey-when-the-team-is-good market. 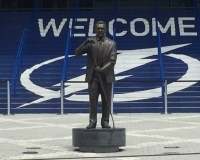 Since the Lightning came into being in 1992, the community has been staunchly behind the team, and it has been treated to some pretty good hockey over the years. 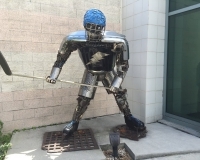 The Bolts won the Stanley Cup in 2004 and more recently have iced one of the better teams in the NHL, one that made the Cup final in 2015. 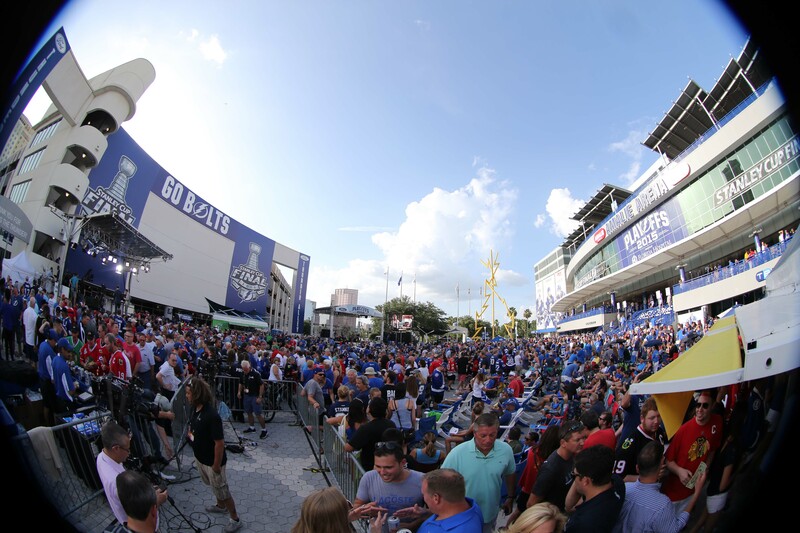 The fan support was established in the early years when the franchise began play in the tiny Expo Hall, and then came out in droves when the team moved to the cavernous “Thunderdome” (now known as Tropicana Field). 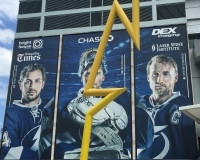 Since 1996, the Lightning have been plying their trade at Amalie Arena, which sits in a prime location in downtown Tampa and offers one of the better fan experiences in the NHL. 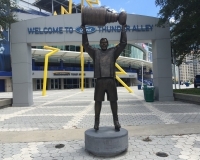 For more on visiting the Tampa Bay area, check out our Tampa/St. Petersburg city guide. 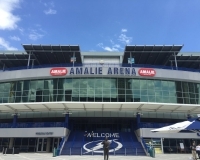 Amalie Arena, known initially as the Ice Palace and later the St. Petersburg Times Forum and Tampa Bay Times Forum, sits on the southern edge of downtown Tampa in what’s known as the Channelside District (appropriately named, as the arena is located alongside the Garrison Channel). 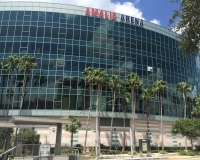 With such a central location, there are many different routes to the arena depending on where you’re coming from, but the most straightfoward are via either the Lee Roy Selmon Expressway, which runs just north of the arena, or via Interstate 275 farther north. Once in the area, there are many surface lots nearby, on both sides of Channelside Drive, the street that runs east-west right by the building. Arena-owned lots are color-coded and available for drive-ins or via advance purchase. 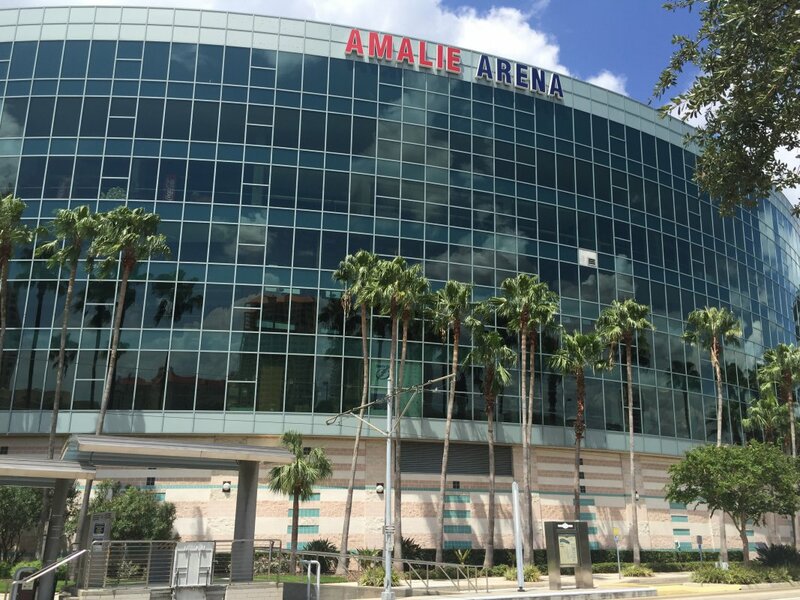 If you’re a visitor to Tampa and staying in the downtown area, you might find the arena accessible via a nice stroll (about a mile if you’re close to I-275). 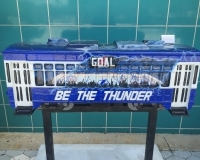 But there is an alternative if you’d rather not hoof it: a streetcar line runs through the area and has a station at the arena’s doorstep. 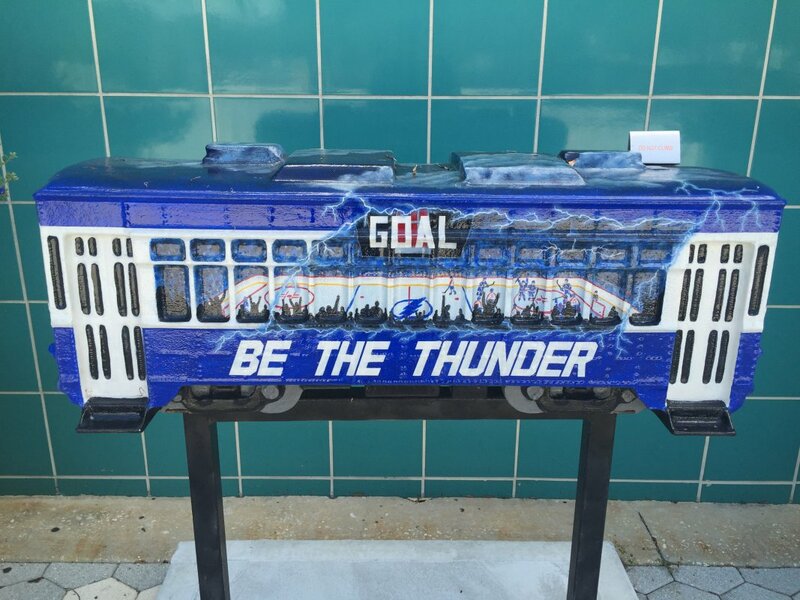 It’s not exactly a viable public transit option but it does go to several places a tourist in Tampa would want to see, including Ybor City (more on that below). Once in the area, there are many surface lots nearby, on both sides of Channelside Drive, the street that runs east-west right by the building. Arena-owned lots are color-coded and available for drive-ins or via advance purchase. Prices for these lots are in the $15-20 range, plus service fees. If you’re looking to save a few dollars and don’t mind walking a few blocks you may want to give Parking Panda a shot. This is a service that allows you to pay for parking ahead of time at a lot of your choice. They have a parking lot just three blocks from the arena for $6.50 for arena events. Click below to reserve a spot. The Channelside District is home to the Tampa Convention Center, the Tampa Bay History Center and several major hotels, so on busy nights it can be a happening place to be. 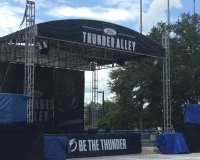 As such, there’s plenty to do around the arena, from bars and restaurants to other touristy activities. One popular sports bar, Ferg’s Live, is directly across Channelside Drive. 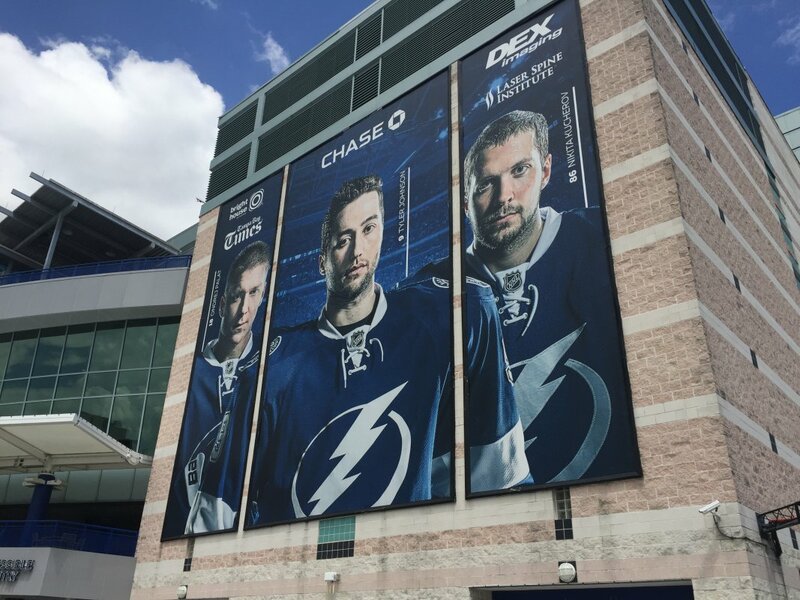 If you’re looking for a concentration of things to do in a close proximity to the arena, a shopping center called the Channelside Bay Plaza sits a couple blocks to the east and has several restaurants within. 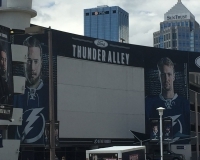 There’s even more on the other side of the Selmon Expressway, including a sports bar appropriately named Hattricks that caters to the hockey crowd on game nights. 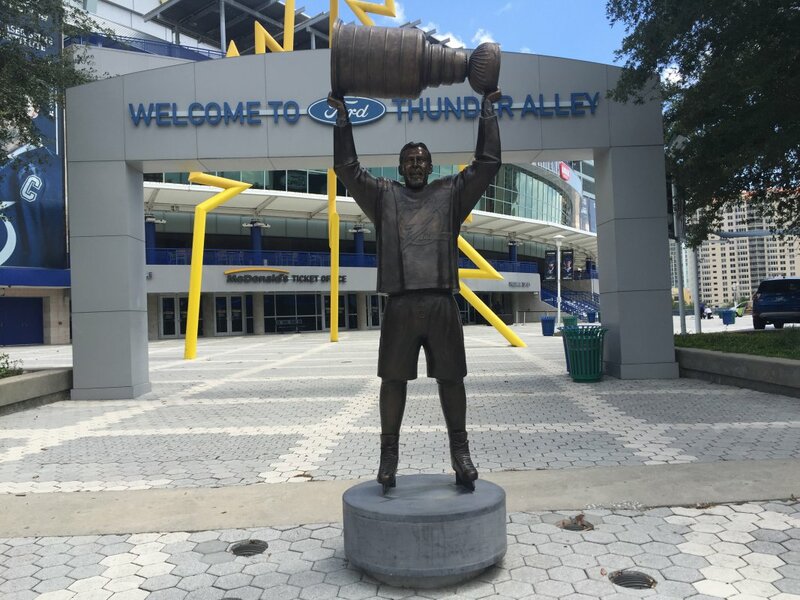 Or, if you’re really looking for some Tampa flair, hop on the aforementioned streetcar and head to Ybor City, a historic district that is one of the city’s most popular attractions, for more bars, Cuban restaurants, fine cigars and more. 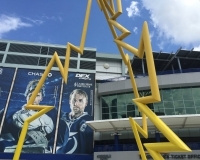 The Lightning go to great lengths to jazz up the fan experience at Amalie Arena — though they’ve made headlines in the past for the lengths they go to limit the number of visiting fans who wind up inside. That fan experience begins outside on the main plaza, which the team calls “Thunder Alley” and typically includes live music, games and contests. 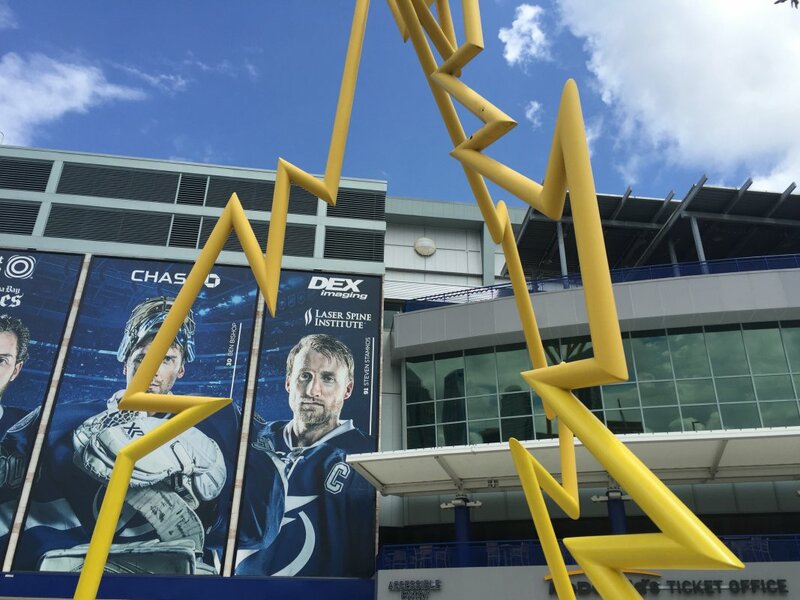 You’ll also see viewing parties for road games here whenever the Bolts are in the playoffs. Inside, it’s a big building and that means there’s plenty of space to move around, even in the seating bowl. Nosebleed seats aren’t too high up in the rafters, and even if you were up there and had trouble seeing, Amalie Arena is one of those buildings with a huge center-hung scoreboard. 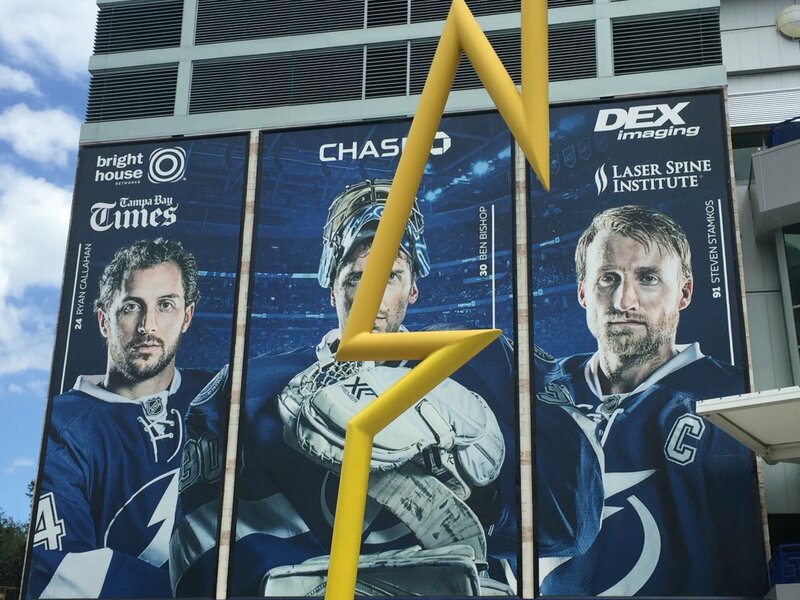 And when the home team takes the ice or scores, be sure to look up into the rafters, where two big Tesla coils will fire. 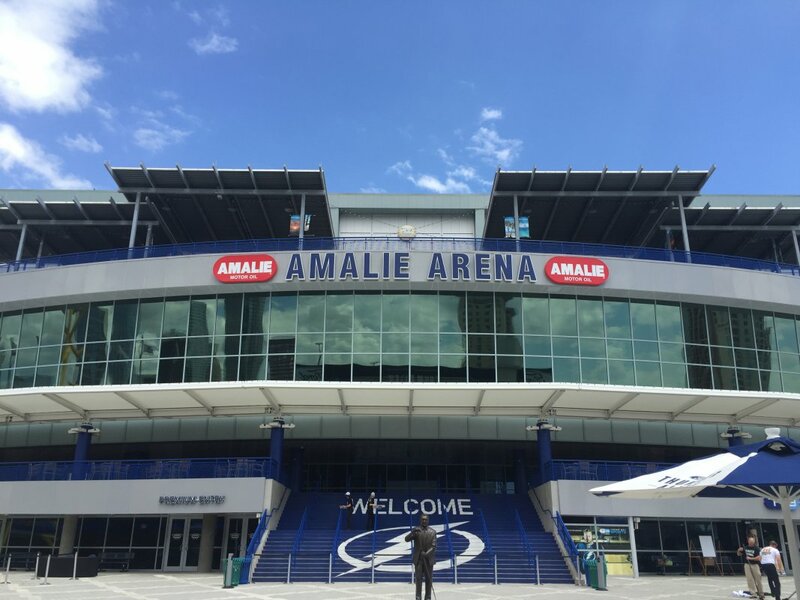 Amalie Arena has a wide variety of concessions options as arenas go. 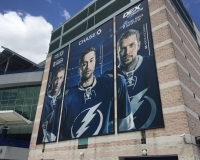 Local purveyors Ford’s Garage and Holy Hog BBQ operate popular stands, and perhaps owing to the snowbirds that infiltrate Tampa every winter, there’s a stand for Smoke’s Poutinerie, a Canadian chain dishing out that Canadian of dishes, poutine. 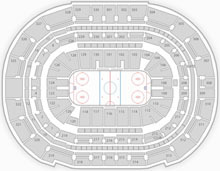 For those whose idea of a good game experience includes hanging out at a bar and drinking beer, check out the “Between the Pipes Bar” on the Terrace Level behind one of the nets, which is open to any ticket-holder and features a good standing-room platform. From there, you can also view the largest organ in the NHL.